- Free learning resource:- 1 hour 40 minute class on "Exploring Health with Clean Language"
- Or request the latest edition of the ebook (PDF version) "Creativity in Coaching"
Full course details and dates for 2019 avaialble now! 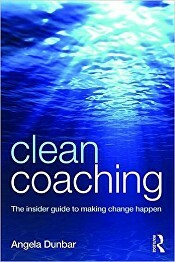 Published by Routledge and availble for 4th Oct 2016, this book offers a really in-depth look at using Clean within a coaching context, for just £24.99. The book has already received some very positive reviews, with some well known people in the coaching and/or clean world offering their endorsement. EK and the Power of Six. Information, articles, therapy, trainings. Philip Harland and Matthew Hudson. Register now to sign up for our newsletter and receive one of three gifts. Full course details and dates for 2019 available now! Download our booking form to arrange a place on one of our training courses.